By David D. Grumhaus, Jr., Head of the Infrastructure Group and Senior Portfolio Manager, and Charles Georgas, CFA, Portfolio Manager, Duff & Phelps Investment Management Co. In the second quarter, midstream investors put the March 2018 ruling by the U.S. Federal Energy Regulatory Commission (FERC) in the rear-view mirror and went back to the sector’s strong underlying fundamentals. The midstream sector enjoyed a sharp rebound in the quarter, jumping 11.80% (as measured by the Alerian MLP index) vs. 3.43% for the broader S&P 500® Index. 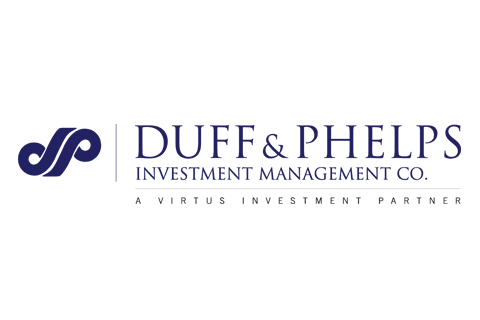 At its analysts’ day in early April, Magellan Midstream Partners, one of the sector bellwethers, provided positive comments regarding the FERC ruling that seemed to give investors confirmation that the ruling would only materially impact a small number of MLPs. This was followed up by generally strong first quarter earnings across the sector and upbeat commentary on earnings calls. Of course, oil also continued to be a big tailwind. While the oil price was volatile, especially around the June 22 OPEC meeting, it still posted another strong quarter, rising $9.21, or 14.2%. The days of excess global inventory are over, and the question now is whether there is enough global supply to meet demand. Even with Saudi Arabia and Russia announcing that they would increase production by close to 1 million barrels per day (b/d) in the second half of the year, global markets will still likely be short supply as geopolitical events continue to curtail production. The big news of the quarter on this front was the reimposition of U.S. sanctions on Iran. With the Trump administration pushing hard on U.S. allies to comply, Iranian production is now likely to fall by up to 1 million b/d by the time the sanctions officially take effect in early November. Meanwhile, Venezuelan production remains in a free-fall, and production in Libya and Nigeria has also dropped. The shortage in the global oil supply is good news for North American producers, and by extension, North American midstream companies involved in the transportation, storage, and marketing of crude and refined petroleum products. U.S production has continued to increase, reaching 10.9 million b/d in June, over 1.5 million b/d higher than it was just a year ago. Production is driving huge growth in exports. Weekly oil exports exceeded 3 million b/d in late June after averaging 972 thousand b/d in 2017. In many oil basins, bottlenecks are also emerging due to a shortage of pipelines. In fact, production in the Permian Basin of West Texas could hit a wall in the second half of 2018, and full relief is unlikely until a series of new pipelines come on line late in 2019. Bottlenecks across basins are leading to a significant widening in spreads, which will not only benefit midstream companies with marketing arms but should also lead to additional contracting and construction of new midstream assets. The commodity tailwinds are not just limited to oil. We have written in the past how we expected natural gas liquids (NGL) and ethane prices to move up as a series of ethane crackers came on line on the Gulf Coast. Exxon’s new ethane cracker in Baytown, Texas seemed to push the market past the breaking point as ethane prices leapt almost 30% in the second quarter. Demand for liquefied natural gas also remains robust. With the addition of Dominion Energy’s Cove Point facility and Train 4 of Cheniere Energy’s Sabine Pass LNG terminal, the U.S is now exporting over 3 billion cubic feet per day (bcf/d) of natural gas. This level of LNG is expected to grow to 8.5 bcf/d by 2020 as additional liquefaction terminals come on line. The sector was also helped in the quarter by further restructurings. We expected one of the consequences of the FERC ruling was that it might lead to further merging of general partners and limited partners. Sure enough, on May 17, “Simplification Thursday” as it came to be known, Williams Company announced that it would buy in Williams Partners, and Enbridge announced that it would buy in both Spectra Energy Partners and Enbridge Energy Partners. Looking ahead, we expect continued positive developments in the midstream space in the third quarter as strong fundamentals should remain supportive of the sector. We expect solid Q2 earnings and continued confidence coming from midstream management teams. We also remain constructive on oil. Admittedly, we could see some near-term pressure as the new OPEC and Russian production hits the market and as Iran tries to sell as much oil as it can before the sanctions take effect. Additionally, oil has become one of President Trump’s favorite topics to tweet about, and while we are skeptical that he will have much success jawboning the price down, we would not be surprised if he taps into the U.S. Strategic Petroleum Reserve to try to ease prices ahead of the mid-term elections. At the end of the day, however, we think global supply is short right now, and that will ultimately have the effect of pushing oil higher. Despite the supportive fundamental backdrop, midstream investors remain wary. With each restructuring that is announced, the sector is that much closer to being able to put all restructurings behind it. Nevertheless, there are still roughly a dozen MLPs that need to address some combination of high leverage, high costs of capital, or high incentive distribution rights (IDR) payments to their parent company. Antero Midstream is likely to reach a resolution in the next quarter, and we could also see announcements from others, including Equitable and Enlink. The three big, high-growth refining logistics MLPs—Shell Midstream, Phillips 66 Partners, and Valero Energy Partners—are all getting to a point with their IDRs where they probably need to restructure. MLP investors are watching closely to see who will be the first to take this step and what the transaction will look like. 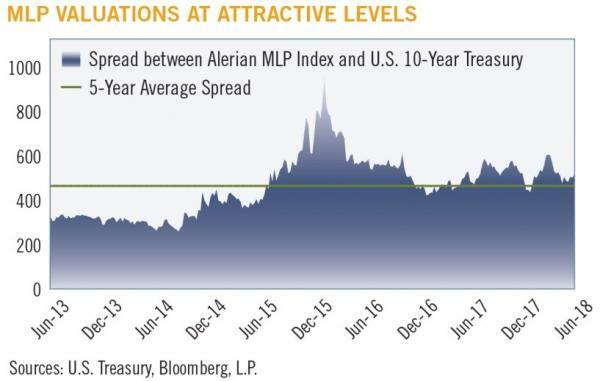 The uptick in MLP restructuring is also creating changes around the Alerian MLP Index, the industry’s key benchmark. Last year, Alerian made the decision to keep its index comprised entirely of MLPs despite moves by some big MLPs (e.g., Kinder Morgan and ONEOK) to become C Corporations (C-Corps). Following FERC’s March announcement and the restructurings by Williams and Enbridge, all eyes once again turned towards Alerian with its index facing further shrinkage. Rather than add C-Corps to its main index, Alerian announced in June two new indexes that would hold both midstream MLPs and C-Corps. It will be interesting to see whether new exchange-traded funds (ETFs) and exchange-traded notes (ETNs) get created around the new indexes. We believe it makes a lot more sense for the indexes to hold both C-Corps and MLPs, but it will take some time for the money that is invested to rebalance due to logistics and tax complexity. Another key topic for debate in the sector is around pipeline approvals. While all the production growth is spurring the need for new pipelines, the approval process outside of Texas remains extremely difficult. Numerous pipelines in the Northeast have failed to get approval. In late May, Kinder Morgan announced that it was selling its Trans Mountain Pipeline to the Canadian government because it no longer felt confident that it was going to get the expansion of the pipeline built. And while Enbridge was successful getting approval for its Line 3 replacement pipeline in June by the Minnesota commission, the company faces a very difficult PR battle as environmental and Native American groups have pledged to stop the line at any cost. As investors, we are becoming increasingly wary of investing in companies that have big, high-profile projects as the negative news flow seems to outweigh project economics, at least until the project is finished. At the end of the day, we think strong fundamentals will triumph over the sector noise, be it restructurings, regulatory overhang, or wary investors. Nevertheless, with the broader market skittish in its own right, there is no question that even a ride higher will have its share of bumps.